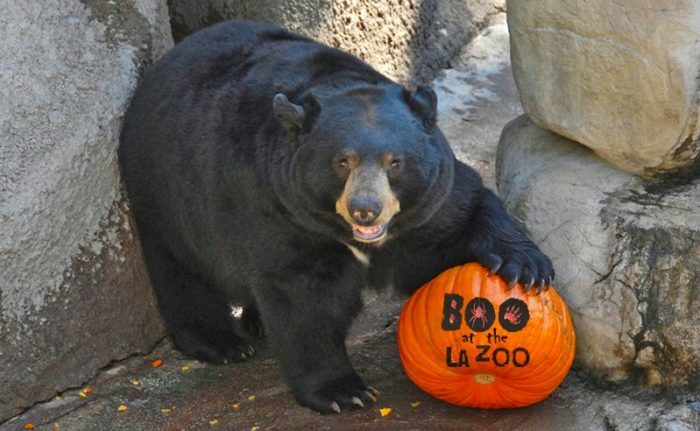 Celebrate the Halloween season at BOO AT THE LA ZOO, happening every day in October from 10 a.m. to 4 p.m. Engage in some fang-tastic fun and spooktacular learning opportunities. Check out the all-new “Nocturnal Adventure” maze, where guest can learn about nocturnal creatures. Get up-close-and-personal with some of the Zoo’s tarantulas, scorpions, snakes and more during the“Animals and Boo” encounters. Every weekday there will be “Animals and Boo” encounters at 10:45 and 11:45 a.m., along with a 12:45 p.m. show on the weekends. Every day offers lots of fun photo opps. On weekends, attendees can watch the “Swazzle’s Monster Menagerie” puppet show, pumpkin-carving demos, special animal feedings and other family-oriented fun. Weekends will also feature “Fearsome feedings,” during which carnivores will devour their favorite meal – carcasses and bones (Parental discretion is advised). In addition, the weekend before Halloween, on October 28 and 29, enjoy crafts, roaming characters and trick-or-treat stations throughout the garden and zoo grounds. BOO AT THE L.A. ZOO activities are free with paid Zoo admission, which ranges in price from $16 to $21. Kids under 2 are free. For more details, check the link below.